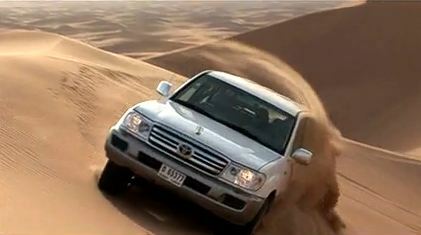 We pick you up from you hotel or residence in Dubai at 3:30 PM than we drive you to the desert where after a fresh up the drivers of the safari will reduce air in their Jeep wheels and take you to the depths of sand where you will experience thrilling drive in the fine sands of Arabia, known as dune bashing. 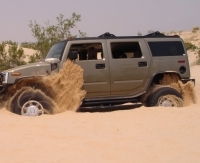 Your experienced driver will drive you up the dunes and dive down in a very artistic way giving you the real feel of the desert sand. The drive is more like a roller-coaster driving in the sandy hills as if skating in the sand. At unset time we will bring you to a nice spot to for a picture of sunset in the desert and drive you to our desert camp where you will enjoy a BBQ dinner followed by a entertaining belly dance. Cost Does not Include : Alcohol Drinks, Dune buggy rides. Click here to reserve Now! 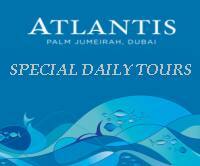 Cost Does not Include : Alcohol Drinks, Dune buggy rides Click here to reserve Now!